Article 18: The United Kingdom 1997 Enschede Castle High Value Definitives These specimens are from the 1992 printing. 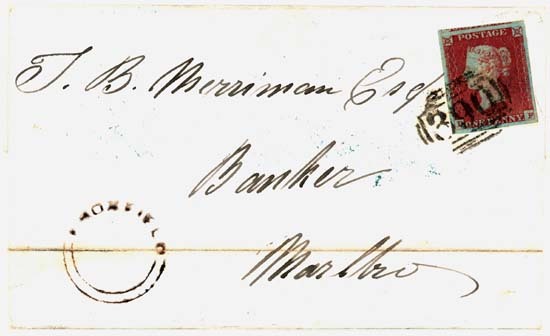 Below each image is a link to a page with examples of postmarks on piece, and some covers. Included are pages with specimens of the 1 pound, 1.50 pounds, 2 pounds, 3 pounds, and 5 pounds. Article 90: U.K. Horticultural Society Issue These are striking commemoratives. They are sure to stand out in the bunch. Article 111: United Kingdom Regions-Wales The legacy of great modern commemoratives lives on thanks to Royal Mail. Here is a small group of commemoratives with views of Wales. In a separate image I show an image of the presentation pack. 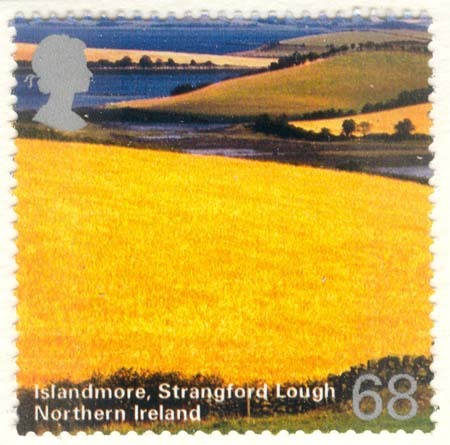 Article 121: United Kingdom Regions-Northern Ireland The legacy of great modern commemoratives lives on thanks to Royal Mail. Here is a small group of commemoratives with views of Northern Ireland. In a separate page I show an image of the presentation pack. Article 173: United Kingdom Regions South-West England The legacy of great modern commemoratives lives on thanks to Royal Mail. Here is a small group of commemoratives with views of South-West England. Article 177: U.K. Regionals Scotland I show here another installment in the U.K. regionals series. Article 363: United Kingdom World Heritage combined issue with Australia Each pair of stamps in this issue depicts a site in England side-by-side with a site in Australia. Article 385: United Kingdom End of World War II Commemorative Souvenir Sheet Here is a seldom seen combination: a definitve combined with a commemorative on a souvenir sheet. Nice!